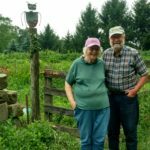 A Trumbull County couple has permanently preserved nearly 3,100 acres of farmland and natural areas in what is believed to be the state’s largest-ever land conservation transaction.Richard and Rhonda Thompson of Kinsman donated 23 conservation easements totaling 3,095 acres to the nonprofit Land Conservancy. A conservation easement is a legal document in which the donor voluntarily restricts future development on his or her land while retaining ownership. More than two-thirds of the property preserved by the Thompsons – about 2,157 acres – is farmland, and the conservation easements protect more than 11 miles of stream frontage. The protected land is in Ashtabula and Trumbull counties in Ohio as well as in Pennsylvania’s Mercer County. 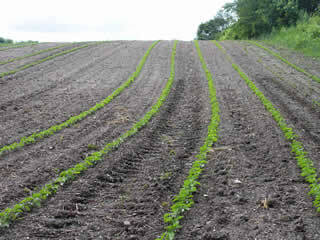 It was the first out-of-state conservation easement recorded by the Land Conservancy, which sometimes does special projects outside its 14-county northern Ohio service region. 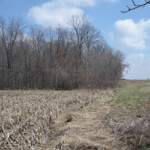 The Thompsons had previously preserved 581 acres in Ashtabula County through conservation easements held by the Land Conservancy and Ashtabula County Soil and Water Conservation District. Scott Hill, the Land Conservancy’s eastern field director, said the Thompson properties contain 11.4 miles, or about 60,000 linear feet, of tributaries to the Shenango River. 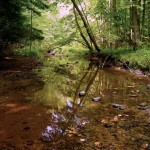 Most of the tributaries flow into Pymatuning Creek, a major branch of the Shenango River.